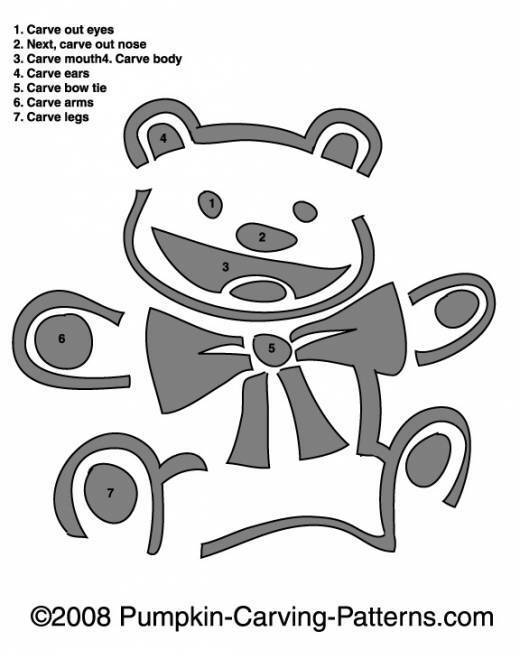 Aww, try carving this adorable bow tie wearing teddy bear this holiday! Everyone loves cute teddy bears and this one is no exception! If you dont want a scary pumpkin and instead want something warm and fuzzy, try this teddy!